The village board meets the first Wednesday of the month at 7:00 p.m. unless otherwise noted. If you would like to be added to the agenda, please call the village office at 715-778-5635. 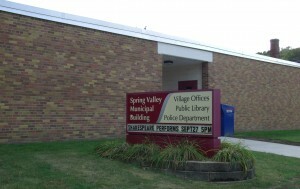 The Village of Spring Valley now has a free pharmaceutical collection container located in the village office.